Travel to Udvada Mainly For Its Food, Culture And Slow Pace of Life. Udvada is this quaint Parsi village in the state of Gujarat – home to the Parsi community who’re completely different from Gujaratis in terms of their culture, food habits, as well as architecture. You don’t really need a lot of time to explore the sleepy town; a day or two is enough. 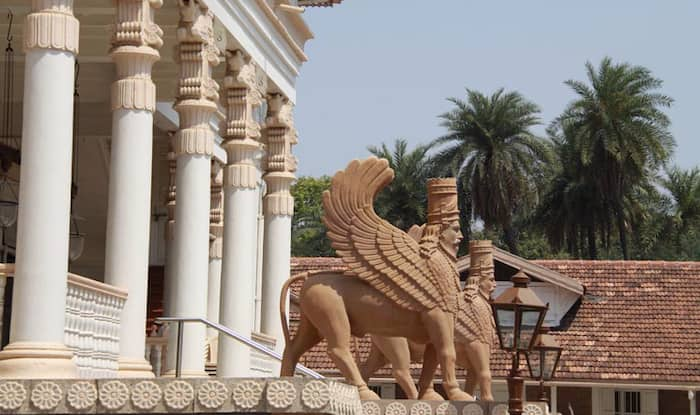 The main attraction of Udvada is Atash Behram – the Parsi or Zoroastrian Temple. It’s a stunning piece of architecture; however, if you’re a non-Parsi you’re not allowed to go inside but can click pictures from the outside. The other attraction in Udvada are the houses that are built in Portuguese style of architecture. Each house is unique and beautiful with a verandah that is done in a simple yet rustic way, lending it a certain charm that one can never find in the cities. Food in Udvada is something you must not miss out on. Keep some time to relish at least one main meal in the village. There are a number of places where you can eat in Udvada. Cafe Farohar serves delectable Parsi fare; as does Ashishvangh and Globe. The dishes you must try in Udvada range from Fried Boi, Patio (fish or prawn-based tomato-onion gravy), Tareli boi (fried mullet), Mutton dhansak, Salli Boti and for desserts try their Lagan nu custard and Raspberry jelly. Interestingly, you can buy special ingredients and take some with you: from dhansak powder, parsi curry and vindaloo masala, vinegar to sukka boomla no patio (pickled dried Bombay duck) everything is available in the markets there. The nearest railway station from Udvada is in Vapi, about 15km away. You can take an auto from there to reach anywhere in Udvada.